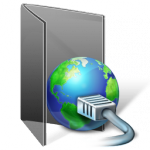 Get Your Internet IP Address Fast And Free! Just in case you need to know your Internet facing IP address, I have setup a new page just for the purpose of showing you that information and more, right down to your longitude and latitude just in case any of you are hiding some ICBM’s in your backyard and want to reach out and touch someone! So check it out, go to http://yerip.com and see what it has to say about you, and before you say it, I know this has already been done. There are other sights on the net that show you what your IP address is, but I wanted one that wasn’t going to display ads or have any ulterior motives, just quickly and cleanly providing a good service!